I’m proud to announce the release of the ‘One Minute Blues’ by Gustan Asselbergs. The project is an exploration of the fictional phenomenon of the music that is played in the Dutch coastal city of IJmuiden. In between production runs the molds that were used in the blast furnaces of the local industrial steel factory needed to cool down for a minute . This lost minute initiated an acoustic blues practice in which workers developed a strong, grooving, rough sound that started the IJmuiden tradition in Dutch blues music. Gustan Asselbergs is a Dutch writer and musician. 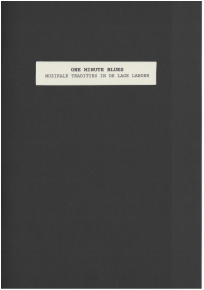 The One Minute Blues project consists of a beautiful limited edition notebook with short stories and a cd with ‘found field recordings’ from the IJmuiden blues tradition. 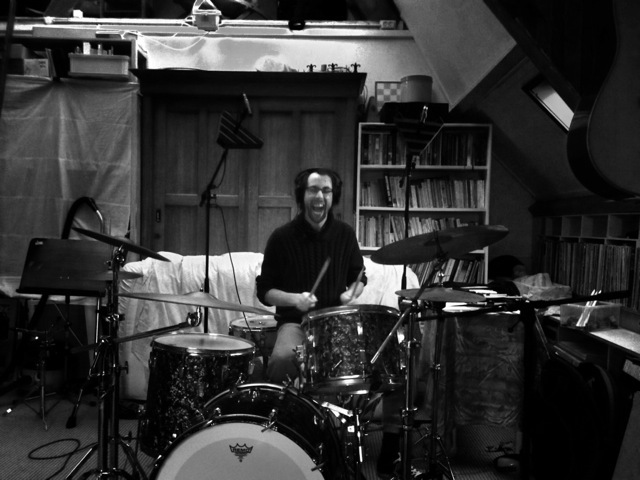 The cd is mixed and mastered by me. It will be available online and at the Haarlem bookstore Athenaeum. Gustan will read from his work at the ‘Avond van het korte verhaal‘ (‘Night of the short story’) on Friday 19 February at bookstore Pantheon in Amsterdam.